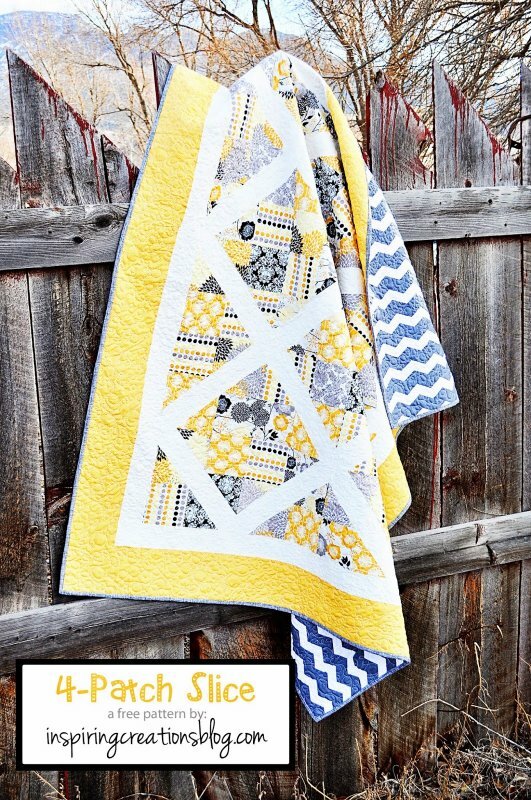 "This quilt is made up entirely of the 4-patch slice block. As I mentioned about a week ago, I was trying to figure out what to do with these charm squares I got in the mail a little while ago. "I was sitting there staring at my design wall and all of a sudden an idea popped into my head! I remembered seeing a similar idea from here that I thought was really cool. 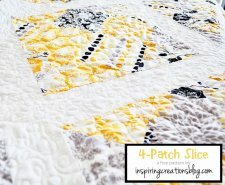 Plus, I really wanted to try doing a block that used the "slicing" technique. 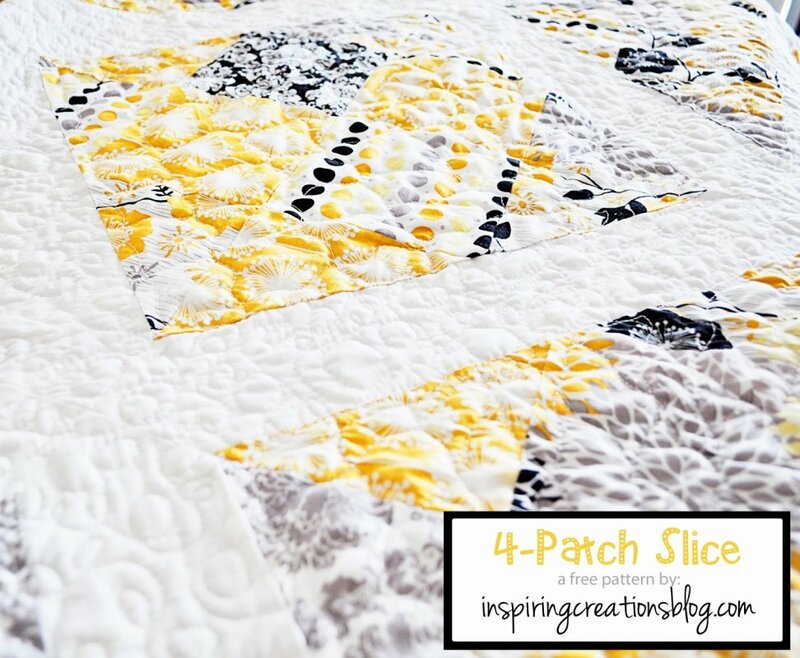 So this is what I cam up with: I'm calling it the 4 patch-slice."